Forgetting the codes of a combination lock or getting dysfunctional of a manual lock is a regular phenomenon that the newspapers do not publish it at the maiden sip of a smoky coffee or teacup very early in the morning. But it does happen, definitely happens and happens every day. Your guns; and documents for guns or any other valuables are stranded inside the safe. So saying, do they become invaluable or get burned in the fire? Are there no ways to recover them from the danger as a whole? This article will perform a standpoint of how to break into a gun safe to recover the contents at stances you have forgotten the combination lock. The keys are not working to unlock it in the meantime you require one of the most valuables stored in the safe. Let’s follow the breaking rules imposed manually. Combination locks for safe are commonly used to control the using spree of a safe by unauthorized people. This is used for home and offices for its better setting mechanism that provides a comfortable feel and most security cheating burglary or kids trend to it over a weak time of surveillance. But before a final hit to your lock, check warranty from the manufacturer. If any condition meets your problem with unlocking the safe door, try them first or go to your own way to effort unlocking the safe. If the there is no any warranty on buying the product, you can’t wait but try the followings. All of your efforts are vain. But no way to have access to your safe. After a frequent remembering and trying with the different combination codes, you have no response from your lock. However, you dare not hitting the lock unless a locksmith is exhausted. Just set a hotline to call a locksmith in. A locksmith is a little bit of hope as they professionally keep different types of bore scope to tame the locking mechanisms inside the lock. Otherwise, by a locksmith, you can save your safe from damaging totally for reusing. Just try for a locksmith and seething otherwise to the weak points of the safe lock. No safe is air-tightened. A prying space is possible for every usable thing that keeps hollow space inside. In this case, you have to look for that type of prying space that can receive any strong and hard rod or bolt to uninstall the locking area. Though this a time consuming and a lost project, because the lock may not be used for later if once it is broken into. Into the prying around the lock, push a strong iron rod or bolt and press it upward to throw the outside. But be careful, a miss is a risk if it comes to a spring power toward you. After several trying for your mission, you must get a success once in opening your safe that keeps some valuables with a gun and gun-related papers. Like a locksmith, different type of bore-scopes you can use to manipulate locking mechanisms that may release the spring of the lock used to effect the locking system. Hammering is one of them. After getting hammering one after one, the locking mechanism may be become scattered each other and release the anchor that holds the locking bar inside the safe lock. The nail is also an important instrument to use an effort to unlock the safeguard. Therefore, a manipulated lock may not work later if your ultimate objective is done– unlocking the safe lock. As we know a gun vault safe is difficult to open as we forget the combination codes or keys used to unlock them. Drilling is a type of manipulation the safe lock. Putting the stack on safe with a spearhead-like, you can easily break into a safe that leaves minor damage to your lock. Utilizing a drill machine, the common method of failing all ways exist, you can come to an easy contact to unlock the door. By drilling the palate of the lock zone is removed totally and unscrewed the lock. This is one of the rights of how to break into a handgun safe review. When all the screws get upper strength from the pressure of the drill machine, the lock panel gets loosen and release the door of the lock to reach your valuables and others. It’s a complicated and laborious way to the problem. Scooping follows drilling. Actually, a bore-scope is entered into a hole in the lock body. Around the combination keys, a long steel thread is pushed to inactive the combination strength. This is also called manipulating the lock. Almost every locksmith use this method as a help for his profession. Though, this way you can try for once if success is easy without paying many efforts for your valuables. a success of scoping cost less cost to repair and use the lock later. So, this is another way of how to break into a gun safe. 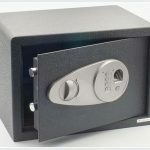 However many things depend for a safe on buying—manufacturer, make country, brands and as a whole consider the popularity in the safe market. Anyway, we all should be careful before having a liberty gun safe for home use. Owing to a gun safe does not matter. But the user experience should always be professional so that no mistake leaves you with a conundrum that cost more than the price of your gun safe. 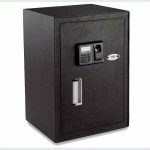 Get a safe that does not have the possibility a search for how to break into a gun safe. The assurance of warranty provided by the manufacturers is a significant issue you should follow during a buy. Repairing or returning the product may include the warranty agreement between the counterparts. It’s definitely accommodating against a buyer you do for a liberty gun safe to save your valuables and guns.